Interested in the new Land Rover Range Rover Sport? As compared with the competition, the new Range Rover Sport provides Red Bank drivers with ultimate versatility thanks to sporty handling, plenty of cargo space, and luxurious elements throughout the cabin. 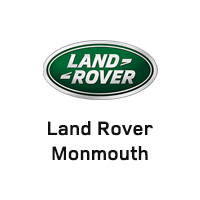 Get in touch with the team at Land Rover Monmouth to learn more about what you’ll get at each new Range Rover Sport price point and to take your favorite model like a white Range Rover Sport for a spin! Learn how much it may cost you to get behind the wheel of the Range Rover Sport here. You can also compare the Range Rover Sport to other Land Rover models, including the Land Rover Discovery Sport.